Hi lovelies! 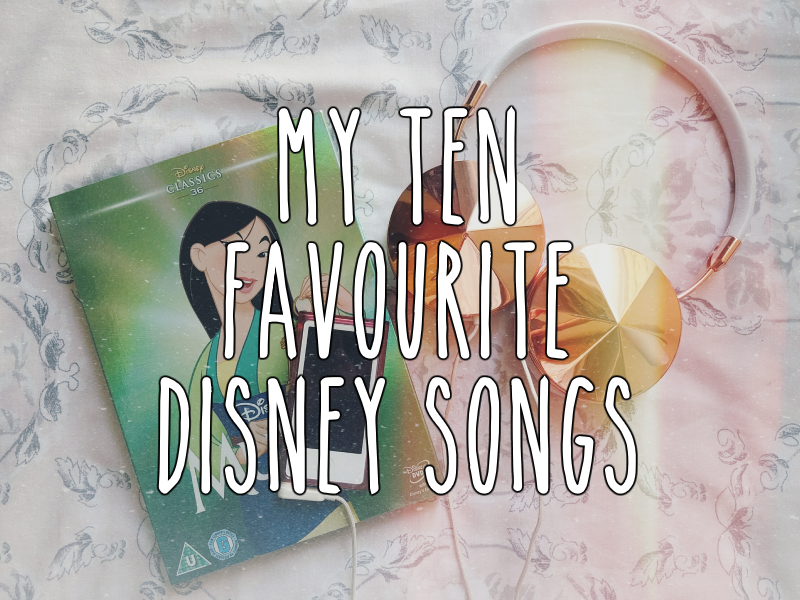 Today I thought I'd bring you a post I've been meaning to do for a long time - my top ten favourite Disney songs! This was a VERY hard post to do, not only because I wanted to include about 50 songs but I also shed a lot of tears going back over the soundtracks. Disney songs are just really emotional okay?! ...Just LOOKING at this gif makes me cry OH MY GOSH! There we go! A special mention goes to the soundtracks from Pocahontas, Frozen and Aladdin also. Ten options is definitely not enough when it comes to Disney! What do you guys think? What songs would make your list? All gifs came from GIFY, with the exception of #6 which came from here, #7 from here and #8 from here. The top two are my favourites as well! Love the Mulan soundtrack!